As 21st century medical education continues to transform into an interactive, learner-centered framework, technology has emerged as a valuable resource to aid in this transformation.The Fall 2018 IAMSE Webinar series explores the role of multiple technologies in supporting and guiding the evolution of 21st century medical education. This series begins with a primer on how to effectively use technology to “flip” the classroom and reduce lecture time. This is followed by a session that probes the role and utility of instructional design in the development of Health Science courses. Harnessing the teaching potential of social media and identifying “responsible use” policies is the topic of the next session. The following presentation explores the “future of learning” through educational applications of virtual and augmented realities. The series closes with a comprehensive review of learning analytics and their applications to medical education. Upon completion of this series, participants will be better able to identify educational technologies and resources to assist in aligning medical education programs with 21st educational needs and values. Spurred by a donation from a forward-thinking and tech-passionate alum, the University of Vermont Larner College of Medicine is removing all lectures and moving exclusively to active learning. This webinar will look at what it takes to extend a technology infrastructure (systems, rooms, learning tools) and support model to partner with our curriculum team to revolutionize how our faculty teach. This session will go into detail about how we are supporting the radical transformation of our integrated curriculum. It will discuss systems, application development, vendor management, staffing and, most importantly, a philosophy and ecosystem of education technology that has allowed us to pivot to support this sweeping reform. Define technology ecosystem to support new models of teaching, including flipped classroom, TBL, PBL and others. Interpret how new models of teaching and learning impact the LCME standard for curriculum monitoring and continuous quality improvement. Discuss staffing and delivery models for next-generation teaching and learning support. 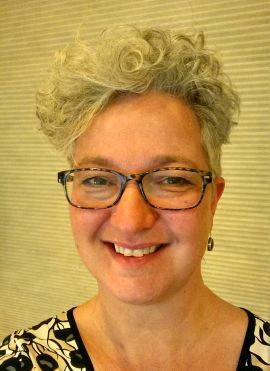 Jill Jemison is Chief Information Officer for Health Sciences at the University of Vermont with responsibility for infrastructure, application development, support, educational technologies and AV at the Larner College of Medicine and the College of Nursing and Health Sciences. She is the technical leader for BTV Ignite, which promotes Burlington's gigabit infrastructure in support of education, health care, economic development and public safety. She is past chair of the Association of American Medical Colleges Group on Information Resources and was founding chair of the GIR Education Technology Working Group. She joined UVM in 2002 to lead the creation of the hybrid E-learning portion of the college's new integrated medical curriculum.